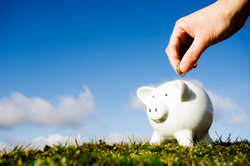 Fatten Up Your Piggy Bank, Check on Annuity Rates at AdvisorWorld.com for The Investment that is Right For You! The management at http://www.AdvisorWorld.com is celebrating their expansion into the US Financial Market with a Free Customized Annuity Rates Comparison Report to savvy investors who are interested in adding annuity investments to their financial portfolio. AdvisorWorld offers a referral service for individuals seeking experienced and accredited financial advisors. Galen Weston, CEO and Founder states " AdvisorWorld is your hub for financial information, articles, and reports particularly for Annuity Rates, Life Insurance and Financial advisors. Finding a financial advisor that you can trust is a process and we help you along with full profiles and ratings, free of charge." The company recognizes that it is now more important than ever that consumers are educating themselves on how to invest their retirement funds as carefully as possible. Therefore, the team at AdvisorWorld has created a customized Annuity Rates Comparison Report. Annuities are a unique investment in that they perform as an investment as well as life insurance. The funds are spread amongst several subaccounts such as government bonds, money market funds, corporate bonds, and U.S stocks to provide the ultimate diversification of investments and tax deferment. What makes the company's service so effective is their comprehensive database featuring thousands of independent financial advisors, lawyers, accountants and insurance agents from across the country, as well as financial information from hundreds of professionals that provides unbiased information particularly on annuity rates and life insurance. Agent referrals are primarily ranked based on the feedback that users provide, therefore the company remains independent and impartial. To further ensure that clients are matched with the best possible agent, full professional profiles of every financial advisor are offered that users may examine to check the background and level of experience of their matches. To learn more, visit http://www.AdvisorWorld.com. AdvisorWorld.com was founded by Galen Weston in 2003. He saw a need to provide an independent online resource center where individuals could find trustworthy financial information. Since it was founded the firm has grown from a single individual operation to a full staff of former business professionals and financial advisors who understand the goals of consumers and the needs of the financial industry. On their site they offer a wide range of information on annuities, life insurance and other investments and a comprehensive database of the top ranking financial advisors in the country with a full background profile for each.